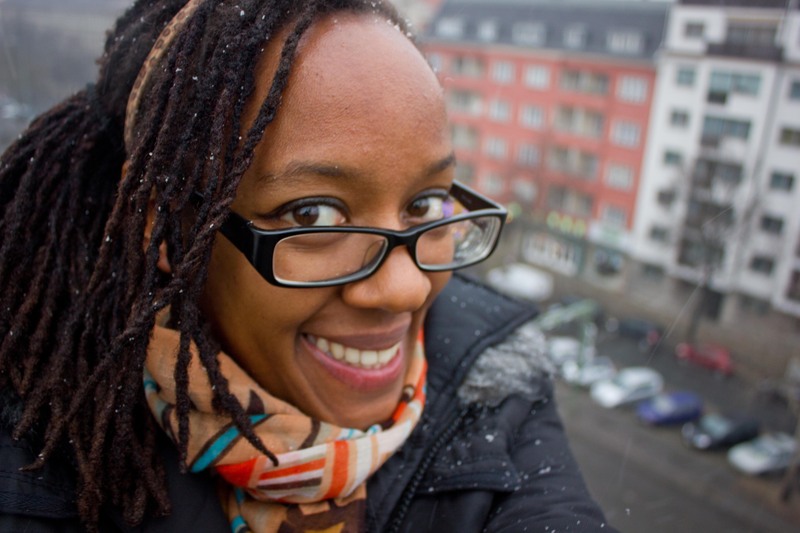 All smiles, with snow in my dreadlocks and a twinkle in my eye! My trip to Europe could not have come at a better time! Two months back at home, after the excitement of graduation; cabin fever had already started to sink in. I’m not used to the routine homebound lifestyle I’ve had to recently adjust to, even after starting work, the desire to wander was starting to grow. As much as I dread the office hours, my job does have its perks! In three words; tourism trade fairs! I was delighted to be informed that I would be going along with the Boss to Berlin for ITB and Sweden for TUR, which meant I’d be spending the whole month away in Europe! However this wasn’t a free holiday, there was a lot of preliminary work to be done before the trip; I spent the whole of February designing and assembling the marketing material, applying for a Schengen Visa, planning accommodation, fitting my trade fair uniform, planning out a day-to-day schedule and booking various appointments. We, my Mum (who is also my boss, but that’s another story) and I, set off on the 5th of March. Our Brussels airline flight was cramped, but we arrived safe and sound at Tegel Airport Berlin after 8 hours, with a 3 hour stop over at Brussels. The cool thing about traveling in Europe is that after you pass immigration at Brussels airport, you are free to travel to and from the countries of the European Union much easier, without the hassle of immigration process. In Berlin, we stayed at the Ivberg Hotel, (you can read my about it review here), which was right next to the exhibition center. And in Götenburg we are staying at the unique Ibis styles hotel, aboard an old ship on the Göta canal. The trade fairs are a unique travel experience, as all the countries in the world showcase the best they have to offer, all under 1 roof! They therefore deserve a blog post of their own, (to be posted soon).